Ride the Rockies. Just the name inspires a few shivers of apprehension. I have been biking a lot since we moved to Colorado in May, 2012, but riding multiple passes at 10,000 feet altitude sounded intimidating. But a fun challenge. So we signed up. My husband, Greg, and I ride every Saturday with a group from our local bike store, and it turned out that eight of us signed up for the ride. Even though we didn't know these folks real well it was fun to have people to hang out with. And we all knew each other well by the time the week-long ride was over! We had a grand time. 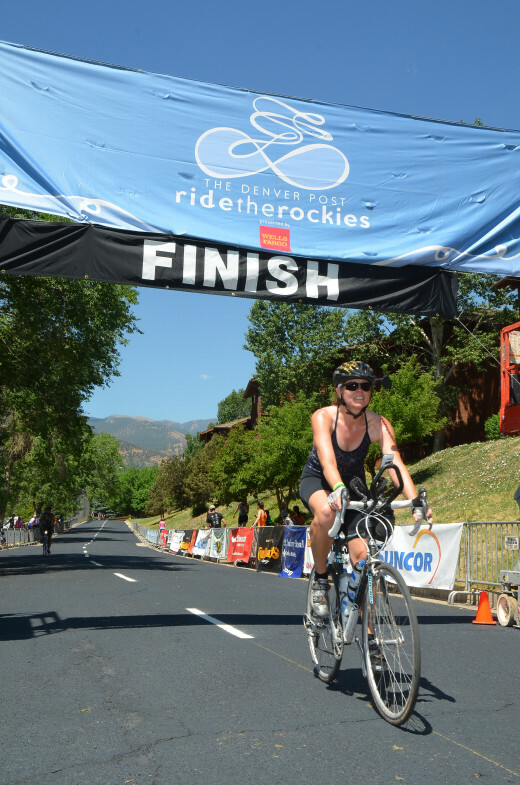 Ride the Rockies is a super organized week-long ride that takes 2,000 people on a roughly 500-mile ride through the Colorado mountains every year. The route is always different and it's a big deal in February when the course is announced. Registration for the ride is a lottery, with over 3,000 people trying to get in. We held our breaths until April when we got the good news that we were drawn, and then the training really started! 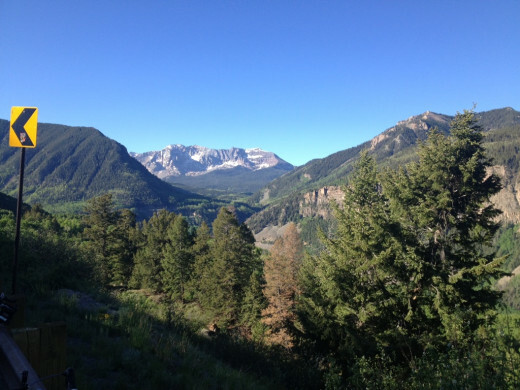 This year's course started in Telluride and ended in Colorado Springs. Logistically this is a little difficult. 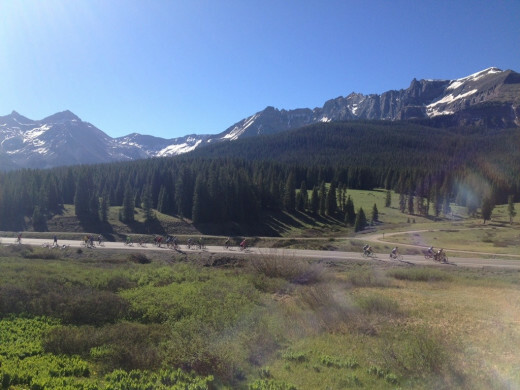 Most people parked in Colorado Springs and took buses to Telluride along with their bikes. 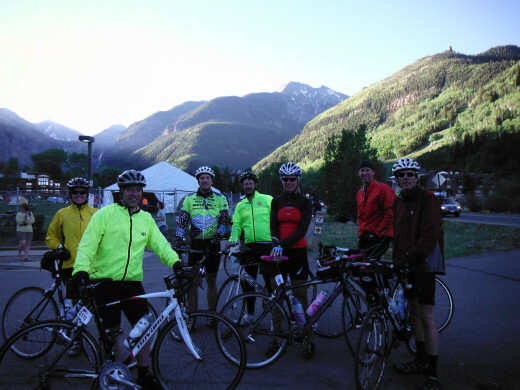 We had a friend carry our bikes to Telluride, which saved us having to box them up and reassemble them. We were using the Sherpa Packer tent service, so we didn't have a lot to pack. We were allowed a 35 pound bag, and I took three sets of biking clothes, figuring I'd have to wash them along the way. Finally the big day came! It was pretty dark at 4:30 when we rolled out of bed, but by the time we left for Colorado Springs at 5:30 there was a beautiful sunrise. Too early for Starbucks, so we had our car cups of coffee and hopefully everything we need for the next week. Except our bikes which were already in Telluride with our friend, Jill. We pulled into our parking place at Cheyenne Mountain resort at 7:20, checked in, loaded the bags, took the last 2 seats on the first bus and pulled out at 7:25. Talk about perfect timing! Six hours and two McDonald’s stops later we pulled into Telluride amid a bustle of activity. We were doing the "Sherpa" camping, which (for an extra fee) gets you a tent service and some other amenities, like camp chairs and an electronics charging station. The Sherpa tents were already set up, and the self-campers were pitching their tents anywhere there was a spare patch of ground. After checking in for the ride we found the Sherpa check in and were “helped” to our humble abode by an eager young guy named Michael. Two air mattresses and sleeping bags awaited us in a bright orange tent in a long row of bright orange tents. And a beautiful backdrop for our little village. Home sweet home for the next week! We wandered around the vendors for a bit, looking at bikes we might want to demo, and then strolled into town for a beer with our Bicycle Village cronies. We also met our friend Jill and reclaimed our bikes. She and her friends were staying at a hotel on top of the mountain, requiring a ride on the gondola, and allowing us to take in some of the spectacular Telluride scenery. We got the bikes, hung them on the gondola, and rode back down. 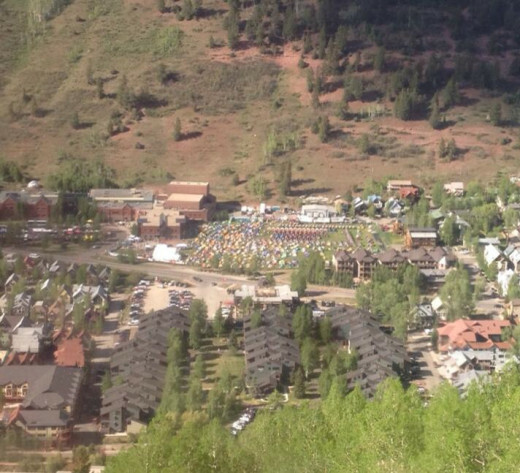 There was quite a view of the tent village from the gondola. Our bikes safely in the bike corral, we headed back to town for a burger. And more beer. It was cooling off significantly as the sun dropped behind the mountains. Since we have lawn chairs the party gathered around our tent for more beer. I’m holding out for water at this point, since tomorrow is going to be a big day! It was cold sleeping that first night in Telluride. It must have been in the low 40s, and we needed the extra blankets provided by the Sherpas. In addition I was sleeping in head-to-toe Smartwool, including gloves and hat. I got up once in the night and was absolutely awestruck when I stepped outside the tent and saw the night sky. I've never seen so many stars! 6:15 a.m. and COLD but we're ready to go! Wow. I mean, WOW. What a gorgeous ride! Lizard Head pass, the first of 3 passes we will ascend, was really no problem, and it was beautiful! Took off at 7 a.m. And it was pretty darn chilly. I doubt we will have that problem tonight, as it is well over 90 in Cortez this afternoon! In Sherpaville the tent zippers started going at about 5 a.m. today, so it was no problem waking up to get an early start, even sleeping with earplugs! We rode about 75 miles today, with about 3000 feet of elevation gain. 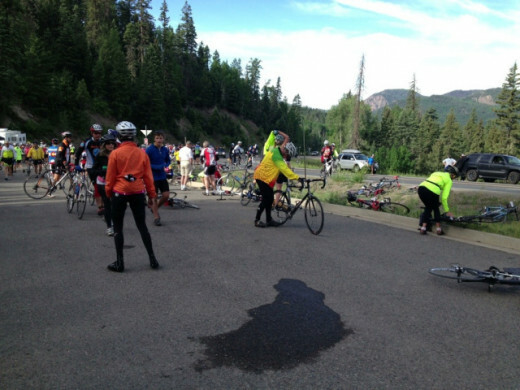 Most of that happened in the first 15 miles, going over Lizard Head pass, which is elevation 10,200. Just before the pass we passed a sign that said "elevation 10,000 feet." I was surprised that the elevation really wasn't bothering me. At mile 15 we reached the top and the first aid station. I was waiting for the pancake truck for about 8 miles. I didn't eat breakfast before we started but I had a pumpkin muffin to get me going. I'd been hearing about the pancakes for weeks. As I stood in line to get them the DJ (yes, a DJ out in the middle of nowhere!) was playing John Denver Rocky Mountain High. It certainly was! Flippin' Flapjacks makes some awesome pancakes. And at all you can eat for $5 it's a great deal! After the pass it was downhill almost the entire way to Cortez. Literally. My average speed for the day was 16.9 mph which is just unheard of for me! I really feel good after the ride though. Rarin' to go to Durango tomorrow. The camp tonight is much better than last night. 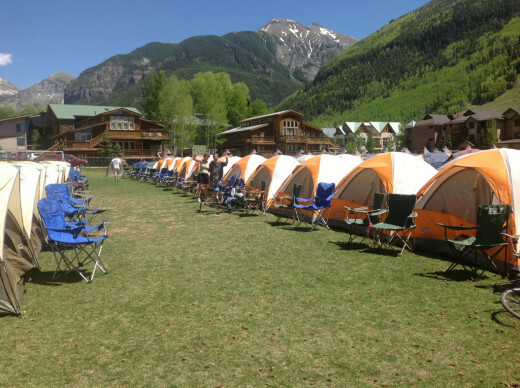 Tons of room for tents, although our Sherpa tents are still in neat rows. We headed straight for the shower trucks. No line at the women's but a huge line at the men's. Hahaha. I guess there's more men than women on the ride! After a shower, a beer and a pizza I was feeling pretty awesome! It's darn hot though. And I'm sunburned. I got that yesterday walking around Telluride, even though I had put sunscreen on. Inadequately, obviously! I haven't seen my back but I was accosted by an oncology nurse in the bathroom this morning who helped me with sunscreen. I guess I just have to be more careful the rest of the time, as the sun is fierce at this elevation. Every afternoon we have a presentation for about 45 minutes. George Hincapie is our speaker this afternoon. He passed me today on the road! Does that make me famous? 64 miles, 4000 feet of climbing, most of it between miles 35 to 51. Hesperus Hill was one LONGGGGG incline. I think it should have counted as a pass! The guide said 3,200 feet of climbing today, but my Garmin said 4,000 feet, so that’s what I’m counting! My first breakfast was four fig newtons and a cup of coffee from the Sherpa tent. The Sherpas are awesome. They have coffee, hot water, and instant oatmeal for the Sherpa campers every morning. It was only eight miles to the pancake stop, and I figured four fig newtons would get me that far. The pancakes were awesome again. We decided to make that our traditional breakfast stop. We took off at 6:30 this morning, earlier than yesterday in the hopes of beating a little bit of the heat. 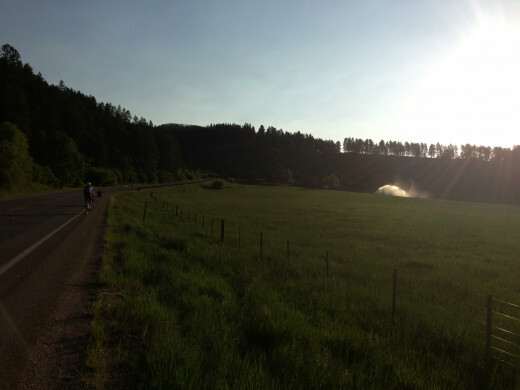 It got warm really fast, ending up in the 90s by the time we pulled into Durango. There was some SCORCHING pavement out there today. In addition to heat we had a little wind, but nothing too serious. Jill and I stuck together all day, and took turns pulling. We went through some amazingly beautiful countryside, rolling farm and ranch land. We are having the cycling presentation right now. Our speaker is Bob Rolle, who I think is hilarious. He does announcing for Tour de France and stuff like that and I think he’s a hoot. It was a very entertaining show! Dinner in Durango was fun. 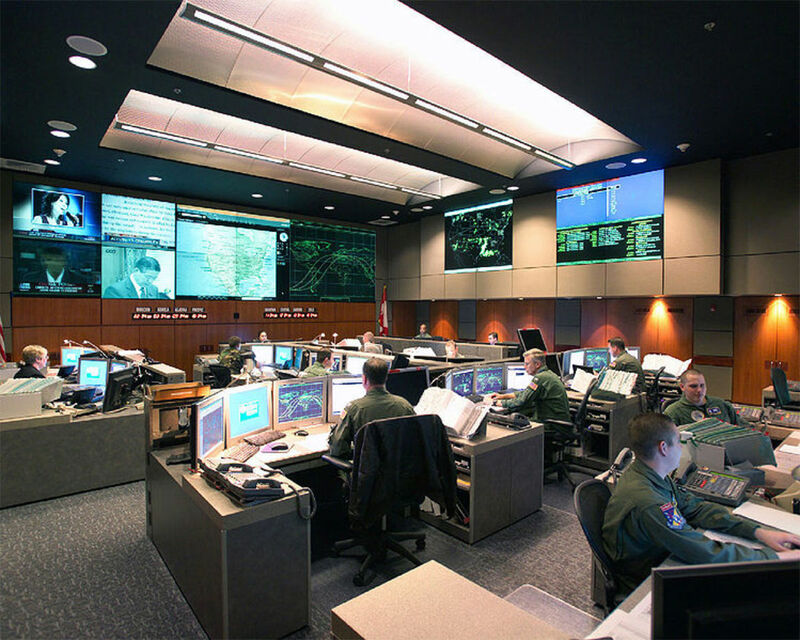 This afternoon when we pulled in there was NO food at the headquarters, and I had to make a really fast trip to Subway, as I was absolutely starving. And grumpy! But tonight there’s a street fair for us in Downtown Durango that had lots of food options. The boys in our cohort are a lot of fun (men actually but they interact like our 21-year-old son with his friends). We have been laughing so hard all evening that I had a stomach ache. Craig seems to be the brunt of all the jokes. The others dish it out unmercifully. Meanwhile John eats everything in sight, stopping at grocery stores to get food on the way home from dinner! 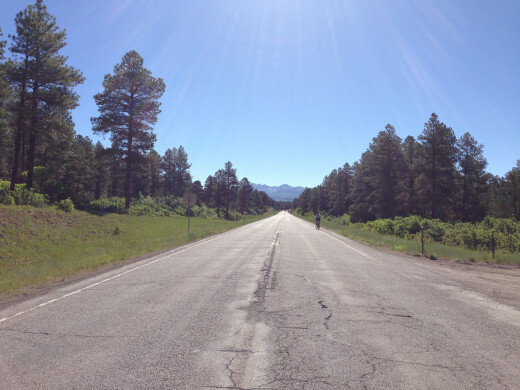 Tomorrow we head for Pagosa Springs, which is 84 miles. I have reserved a demo bike for tomorrow, a full carbon fiber Trek Domane. I sure hope I liked it since I’ll be sitting on it for a long time! Of course, if I do really like it this trip could get even more expensive! 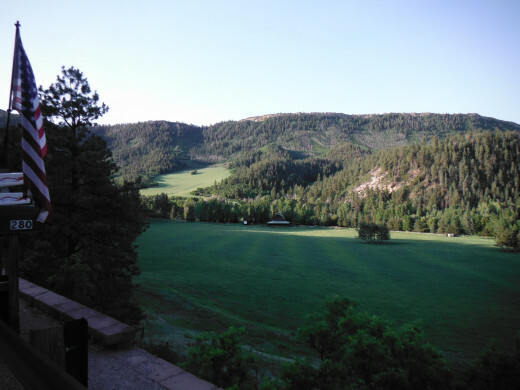 Camp at Pagosa Springs. We kind of take over these places. Woohoo! I rocked today! That Trek Domane I demoed was awesome! I was really worried about trying a new bike. I was afraid it just wasn’t going to fit right, even though they measured everything on my bike and matched seat to pedal height, seat to handlebar distance, handlebar height, etc. And they put on my own seat and pedals. I put all my bags on it. The under the seat bag with my spare tubes and tire changing tools, and my feed bag for the front handlebar, full of unwrapped Shot Blox to munch throughout the day. And I was REALLY worried about how climbing would be on the compact double ring, since my bike still has a triple ring. So today started at about 6:15 from Durango. We got up at 5. I made a huge blow it and only hit the sleep button on my phone alarm when I got up and went to the bathroom to dress. So it went off again and no one was there to shut it down. Oops! I realized that while I was dressing. Fortunately Greg turned it off, but not before it did its marimba thing for awhile. I apologized profusely to the tent neighbors, who luckily were already awake. On the way to the bikes this morning two deer ran right through our campsite! It was really cool. Not for the deer I suspect. They looked pretty freaked out, running up and down the Sherpa tent rows looking for the way out! The first 14 miles this morning were almost all up. I climbed much faster than usual, with that compact double ring that didn’t give me as many gears, so I HAD to climb faster but it really was okay. And the scenery was STUNNING! 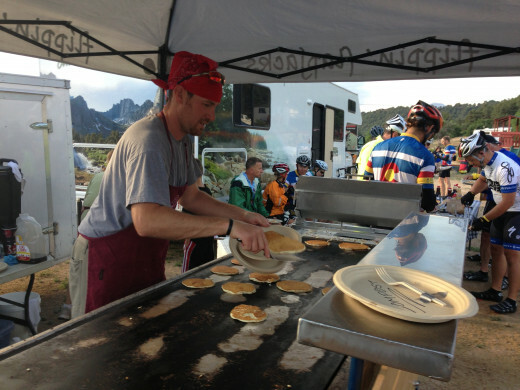 Pancakes at the first aid station. Well fueled for a 35-mile downhill! It was a great ride of mostly downhill. We went by the Chimney Rock National Monument. The last 30 miles was to be almost all uphill, so Jill and I stocked up the energy stores at the fourth aid station with smoothies and peanut butter and jelly sandwiches made by an actual kid. They were awesome. And the long climb to the finish was manageable. This was a real test day. It is the first time we’ve ridden three distance days in a row, PLUS at 85 miles it was longer than most rides I’ve ever done. I must admit it got pretty darn hot out on the flat part. On the way to Pagosa Springs my Garmin thermometer hit 101 degrees! I must say I’m not impressed with the food on this ride. I pulled into the camp area at the high school after 85 miles in 90+ degrees and there was NO FOOD. Apparently there were some burgers earlier, but they were gone and all the food was at the entertainment site, which was OFFsite since the camp area is a high school with no alcohol allowed! I reluctantly turned in the Domane and got Lucy back and took a shower. By this time I had figured out how to take all my biking clothes for the day into the shower with me and wash them out. We have two shower options generally - mobile shower trucks, and indoor showers at school gyms. After cleaning up we all headed to town on the shuttle and went to the Riff Raff Brewery. A great burger and one too many beers, then back home to relax before heading to bed to rest for another big day tomorrow. I must say I feel tired, but okay. Ready to go again! 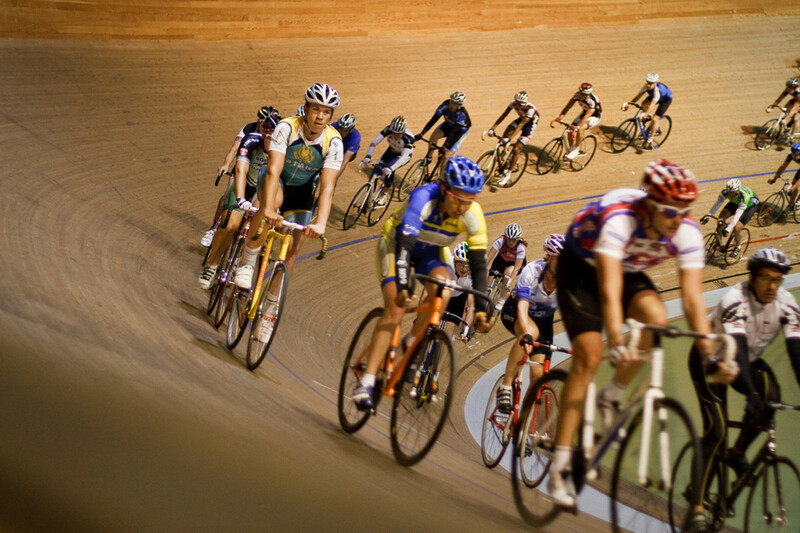 I’ve been worrying about Day 4 ever since we signed up for the ride, but I rode great. 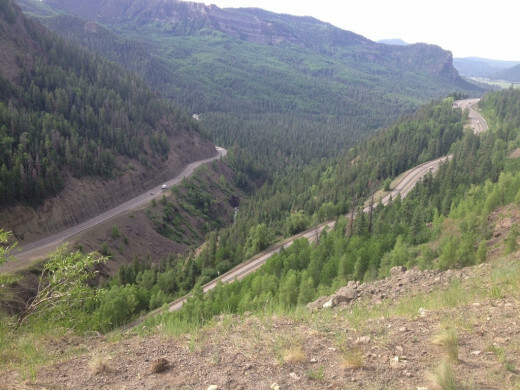 92 miles and 4900 feet of climbing, including Wolf Creek Pass, which ended at 10,800 feet! I was having issues at first, because now that I was back on Lucy it felt like I was riding a tank. We really weren’t speaking to each other the first 13 miles. 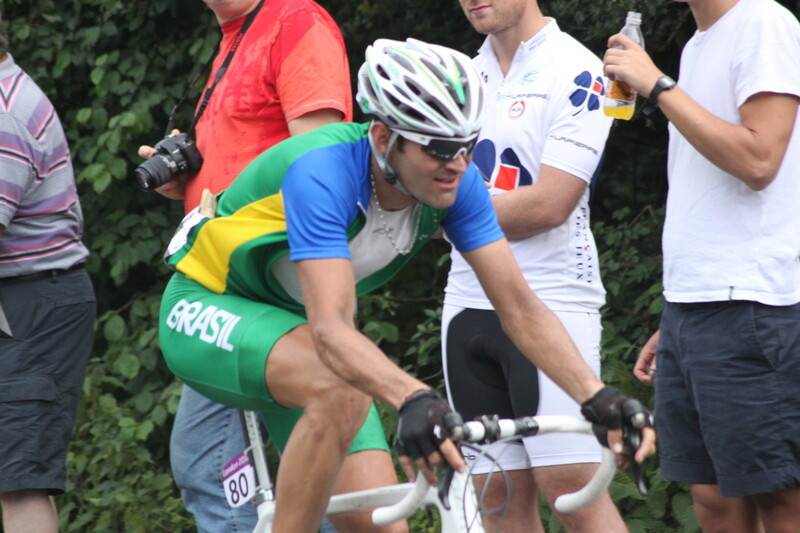 I was missing that Domane demo bike! Things started to get better once we started up the eight-mile climb to Wolf Creek Pass, when I was glad to have Lucy’s triple chain ring. I used all those gears on the way up, on grades from 5.5 to 8 percent. It was gorgeous though. I tried not to stop except to take pictures, but it was hard. I did stop once a mile-and-a-half from the summit and rested for a minute, but I also took a picture so I could tell myself that was why I stopped! The descent from the pass was a little scary in my opinion. I just don’t like going downhill fast. But after the descent from the mountains the ride got BORING. And WINDY. Coming into our rest stop at Monte Vista was a long, long haul into the wind on totally flat terrain. 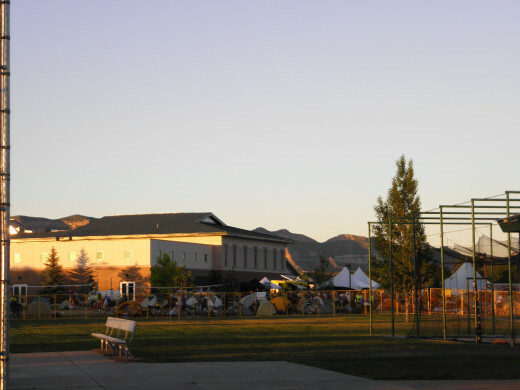 But Monte Vista was the best rest stop ever! Free baked potatoes for everyone! I think the whole town turned out to welcome us. It was a nice change from some of the other towns we’ve been in that seemed annoyed by our very existence. 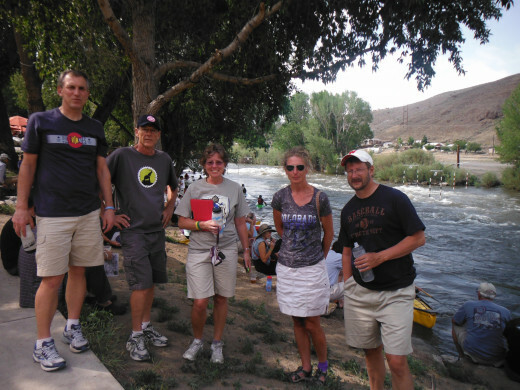 We even met the man that grew the Colorado potatoes we ate. He said they were up at 6:00 that morning to start baking 3,000 potatoes! They were SO GOOD. I was happy to have some real food, since I wasn’t sure when I’d get to eat when we got into camp. It was a pretty quick ride on into Alamosa, but still flat and boring. We’d taken so long getting over the pass that it was after 4:00 when we pulled in, but I went straight to the Specialized tent and booked a bike for tomorrow. Poor Lucy. She’ll be mad at me again. There were festivities at the rec center where we were staying, and we got a sandwich and a beer. Then we went to dinner! I just had a salad, which tasted great (not many vegetables on this ride), but it got really late, and I was very tired. We took the shuttle back and literally fell into bed. Rest stop #1 and pancakes before starting up Wolf Creek Pass. Best rest stop of the whole trip - potatoes! JILL CRASHED! Coming out of Alamosa she was riding in a 20-mph pace line with the boys and brushed Jeff’s wheel. Down she went on the chip seal road. 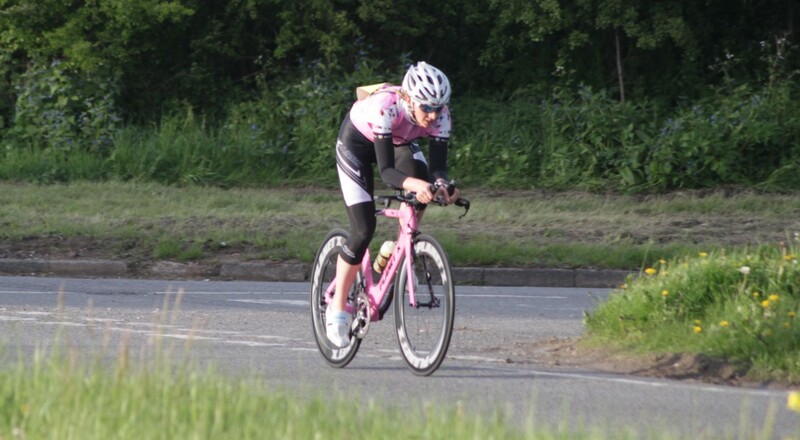 I was behind (naturally) as I couldn’t maintain that pace even on a demo bike. I suddenly caught up with them all milling about the roadside and Jill sitting on the back of the sag wagon getting first aid. It was awful. She’s lucky to be alive. No broken bones, but awfully skinned up and road rash. Her ride was over for the day, which bummed her out so much. We checked on her at the first rest stop (while eating pancakes). They were taking her into Salida (our nights destination) for first aid. She’s tough. Planning to ride tomorrow! Played leapfrog with the boys all day. They’d wait for me at rest stops, I’d take a quick break and jump back on the road, they’d pass me on the way to the next stop, and we’d start over again. 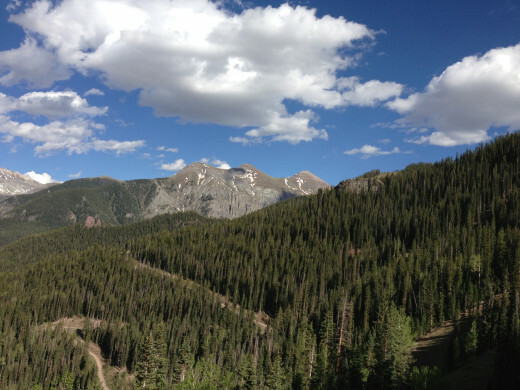 Today we climbed Poncha Pass, our last of three scheduled passes on the ride. It was a piece of cake. Very anticlimactic. I was feeling great at this point, and even beat most of the guys to the top. 84 miles, only 1700 feet of climbing, average speed for the day 17.22 mph. Except for monotony it was a good day. 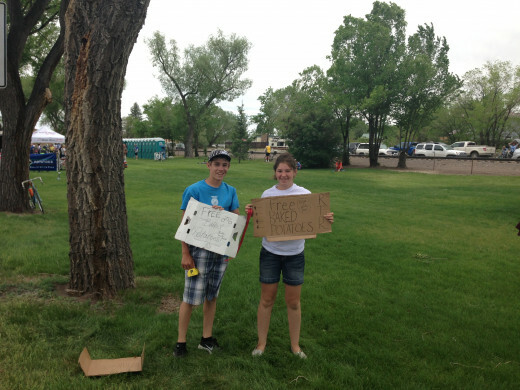 There were lots of friendly Salida townspeople with concessions right here at the school, so it was easy to get food. And there was some kind of festival going on in town, so lots to see. 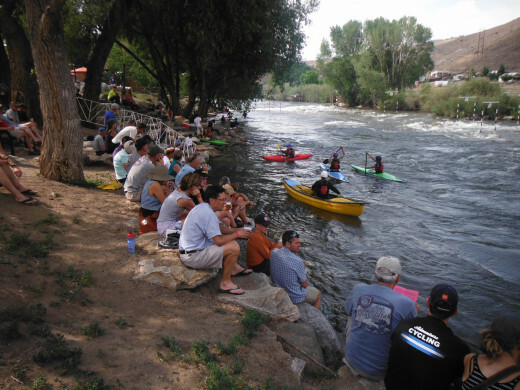 We hung out along the river and listened to bands and watched kayakers tackling the rapids. We got caught in the rain. Greg and I had gone to a restaurant for strawberry shortcake and were sitting outside when the skies suddenly opened up. We grabbed our shortcake and dashed into the restaurant, which was packed. Things are suddenly getting much more challenging. 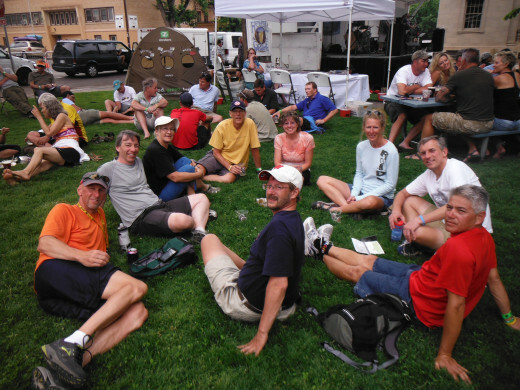 We go to Canon City tomorrow, supposedly through Royal Gorge for a nice easy 67-mile day. 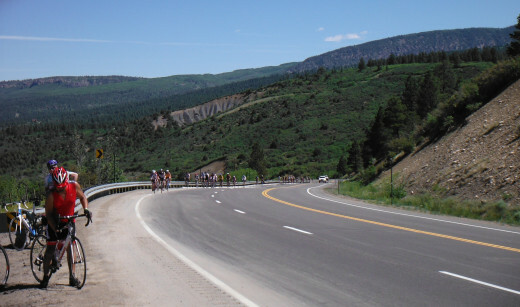 But there’s a terrible forest fire that has closed the road so we have to go to Canon City the long way around, via Hardscrabble Pass, which gives us a total for the day of 94 miles and 4500 feet elevation gain. Our longest day yet on Day 6!!! The reroute is disappointing because we will miss Royal Gorge. We had special permits to ride over the bridge, and were really looking forward to it. But the forest fire is BAD. The rain tonight washed all kinds of ash out of the air (and all over our bikes!). Things are really kind of a mess. So stay tuned. Hopefully the massage I had this afternoon will carry my aching neck and shoulders through tomorrow. We’re leaving at 6 am to get an early start on a long day! Wow, that was a long hot day! The long way around made 93.5 miles, about 4200 feet of climbing. At the last rest stop in Florence my Garmin thermometer read 102.9 degrees. Wow. We started early (6:15) to get a jump on the long day. I couldn’t believe Jill planned to ride after yesterday’s crash, but she was out bright and early, although moving slowly. It was really perfect temperature sleeping last night, and not so cold this morning, so I just wore sleeves and no coat because I didn’t want to carry too much stuff in the heat I figured would come later. Well I just about froze in the first few miles! Jill had brought her raincoat, so I ended up wearing it for about 10 miles. Until we started to climb. THEN I got warm. The first 25 miles or so were all downhill but then we started up. The first hill was about 5 miles long, with grades as steep as 9%. It was tough. Then rolling hills to Hardscrabble Pass, which thankfully wasn’t as hard as the first hill. So we actually ended up with FOUR passes for this RTR! 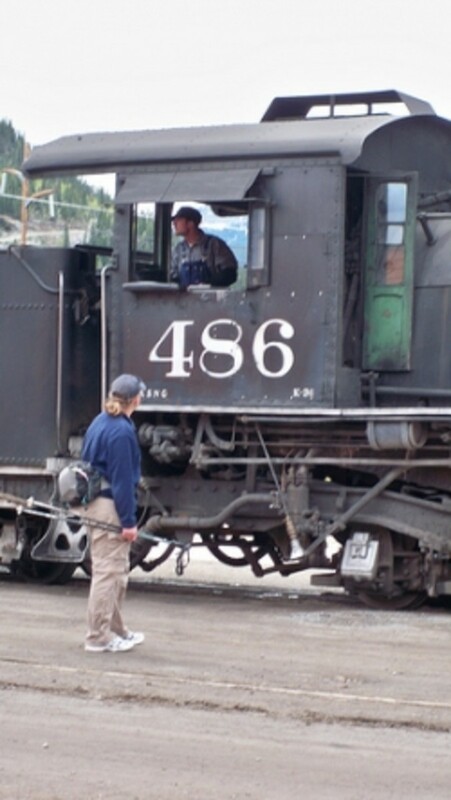 This has also turned out to be the longest Ride the Rockies ever, and today was the longest day ever. Well it felt like it! I rode well though. It’s becoming second nature to just spend the day riding. But we missed Royal Gorge. We heard that pretty much everything at the Royal Gorge attraction except the bridge has burned down. Our bikes were FILTHY this morning from the rain carrying ash from the fire. Lucy definitely needs a bath when we get home. Now that we’ve finished today’s ride its raining again. I’m in the tent, and it sounds very nice except its hotter than blue blazes in here! I may need to make a run for somewhere else. Having constant connectivity issues with my iPhone hot spot. Apparently when 2,000 people descend on these small towns their networks get overloaded! Tomorrow is already our last day. Hard to believe it's almost over! 94 miles later - BEER! Done! 7 days. 547 miles! It was a blast! I knew I could do it but I thought it might be quite painful at times, especially on the longest day. But it really wasn’t bad. There was hard stuff but I never felt like I just couldn’t go on. I never got close to bonking. Today was a mere 47 miles, which after the last 4 days felt like nothing! The sun rose early in Sherpaville. We had planned to make a late start at 7:30, but I guess a lot of people wanted to get an early start and get done, because the place really started to wake up at 5:15. We stayed in bed, listening to tent zippers, people chatting excitedly and calling out to each other down the lengths of tent rows, and just scurrying around in general. Quite a difference from the usual morning hushed whispers. We finally gave up and crawled out. By 7:00 we were packed, ready and in the bike corral. The bikes were filthy again. Or, rather, MORE filthy. They were on packed dirt, and the rain last night had caused mud to splash up all over them, so not only was there ash on the top but mud on the bottom. Wow, does Lucy need a bath! We waited a few minutes and decided to take off, because bikes were missing and it looked like everyone else in our group had already left. Pancakes were 15 miles away, mostly downhill. It was an easy cruise to the first rest stop, where we found everyone. Some had passed me on the way in because they really hadn’t already been gone already. I saw a bike wreck on the way. Not the wreck itself but the ambulance taking another rider away. I’ve seen probably half a dozen ambulances this week. Scary. I also saw a girl crash, but it didn’t seem to be too bad. Not like Jill’s spectacular bump and roll. I guess today people were focused on finishing more than riding, because it was looking like a high injury day. Jill and I regrouped after the first rest stop. She was really hurting today after her crash 2 days ago so we took it really easy the 17 miles to the next rest stop. Had some pretty good hills and some VERY rough chip seal road. Man, I hate that stuff! 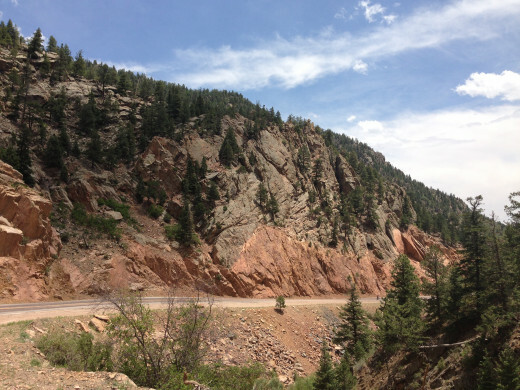 Things went better for Jill on the last leg into Cheyenne Mountain Resort in Colorado Springs. We cruised along pretty well. Saw another biker being taken away by an ambulance only 4 miles from the finish. Jeff was riding behind him and actually saw him flip. He said it was just horrific and the guy was out cold. I rode even more carefully after that. We finished in front of a big cheering crowd. And just like that we were done! 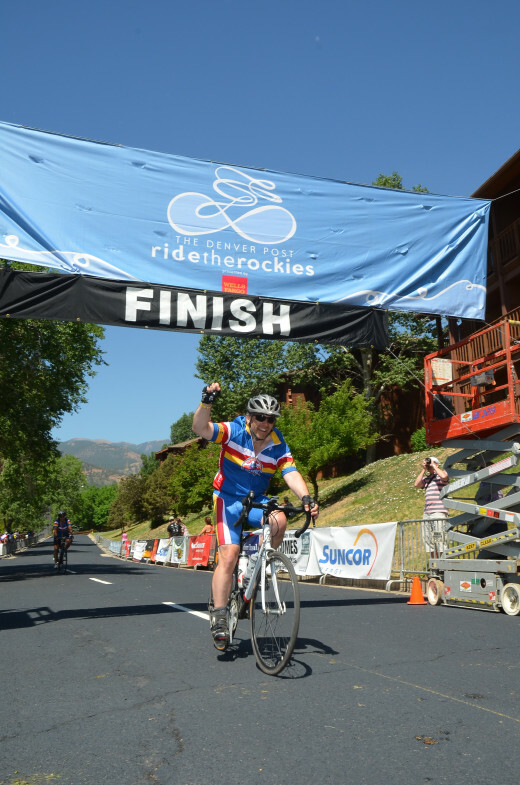 The longest Ride the Rockies ever and I rode every one of the 547 miles. It’s going to be weird to get up tomorrow and not ride. Even today was odd, only doing 47 miles after 4 days in a row of 80+ miles each. We parked our bikes in the corral and headed for the beer tent, figuring it was afternoon somewhere! Food and beer, a bunch of us on the lawn under a tree in the shade. It was TOASTY out, although nothing like the 102.9 from Florence yesterday. There was a big gala going on, with vendors and food tents. We hung around quite a while, reluctant to have the party end and leave our friends. I bought a poster and a t-shirt. The very last person rode in as we were leaving, followed by the whole contingent of motorcycle cops and sag wagons that had been patrolling the roads for us. They had sirens going and horns blaring. Enough to make a lump in your throat! And then we crammed the bikes and suitcases into the car and drove home. I slept the whole way. Not tired from today’s ride in particular, but just sun and heat and lots of exercise. Once we got home we dumped the entire contents of both suitcases into the laundry basket (gross!) and hit the shower. Felt great to get the sweaty sunscreen off. And the dirt from the bikes. Ugh. I was a filthy, sweaty mess. And now it’s time for a margarita! I'm ready to do Ride the Rockies again. I was ready to do it again the minute I finished. What a fun way to spend a week!